Happy Friday everybody! It’s been a while since I’ve thrown some sort of healthy “bar food” twist at you. Now, we love spicy in our house – as if you couldn’t tell from the bajillion buffalo flavored recipes I’ve thrown at you. But seriously, we have quite the collection of hot sauces in the refrigerator and always seem to be out of Tabasco even though I know I just bought the big giant bottle last week! 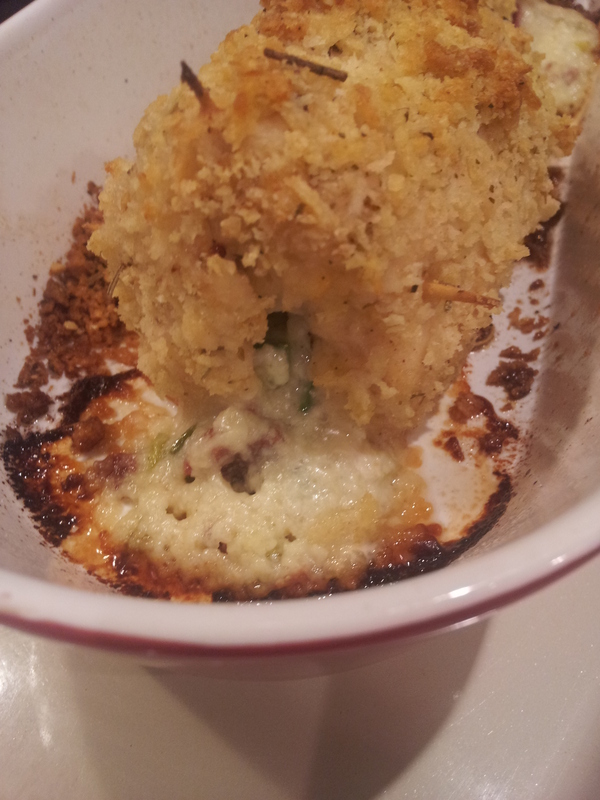 Well, over the 4th of July I tried a new jalapeno popper recipe and it was pretty much amazing. I’d made jalapeno poppers before and had never had issues with burning hands or anything from scooping out seeds even when I dissected like, 24 jalapenos! I always read people saying “use gloves” and think , “psh, wimps.” Um, I don’t know if I got my hands on a super potent batch or what, but the next day driving to work – my hands felt like they were on fire. I poured rubbing alcohol on them later that day because I read that would help! Ugh, I vowed to take jalapenos seriously from that point on! I still love jalapenos even if they were cruel to me, so I decided to approach them very humbly. By mixing them with cheese, stuffing them in chicken and savoring every delicious bite. 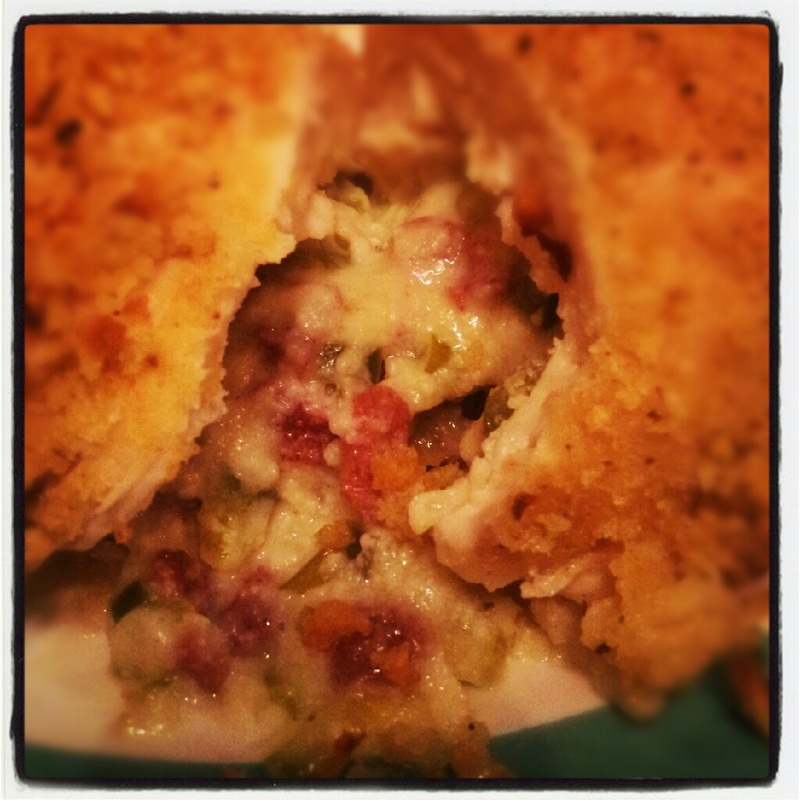 We are friends again thanks to the delicious jalapeno popper stuffed chicken recipe I came across on one of my favorite cooking blogs! I promise this isn’t too spicy as long as you (very carefully, might I add) remove the seeds and membrane. Leave some of it if you feel like living on the edge – but whatever you do, make this! Preheat your oven to 450. 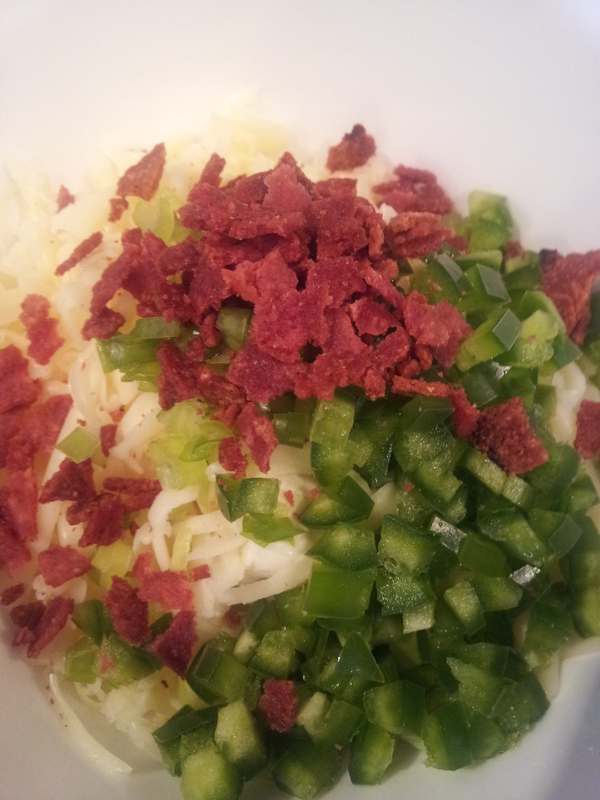 Mix together cheeses, bacon, scallions and jalapeno in a small bowl. 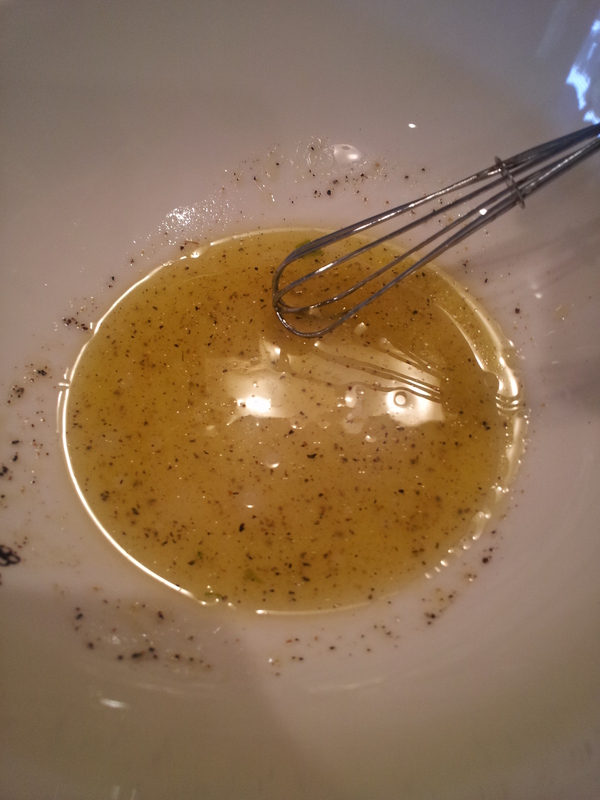 In a shallow bowl, whisk together lime juice and olive oil. 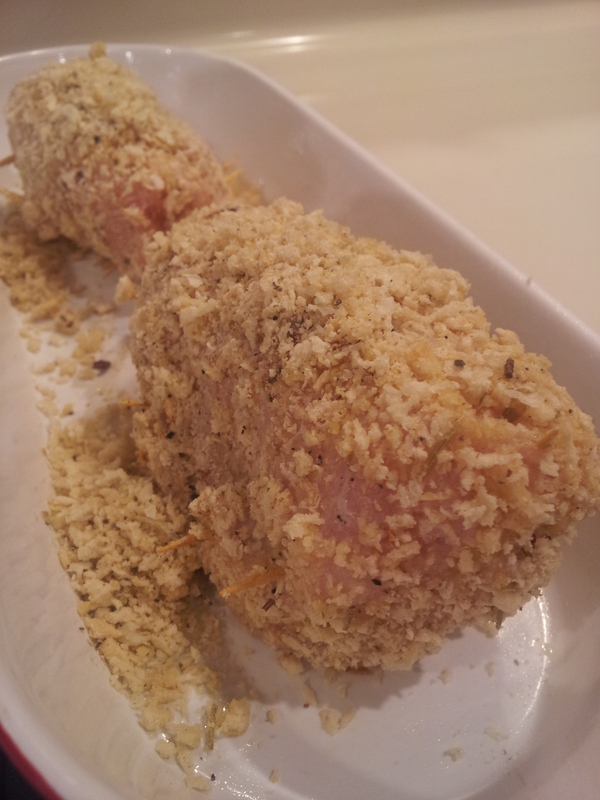 On a plate, mix together bread crumbs and flour. Now, trim chicken of any nasty bits (I’m a freak about this) and lay between two pieces of wax paper. Using a meat mallet (or wine bottle, rolling-pin, etc.) 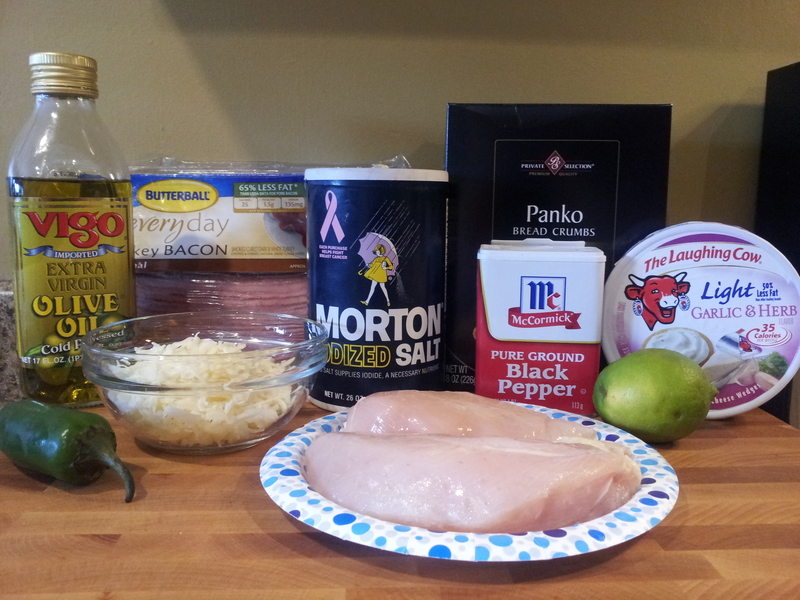 pound chicken until flattened to about 1/4 – 1/2 inch thickness. Set some toothpicks out. 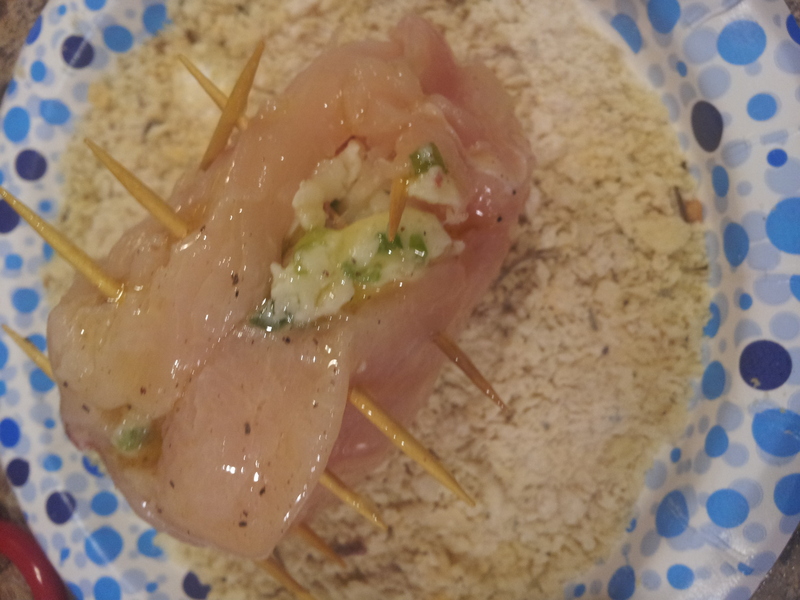 Spread half of the cheese/jalapeno mixture in the center of the chicken, working your way out. Leave a small border without the cheese. 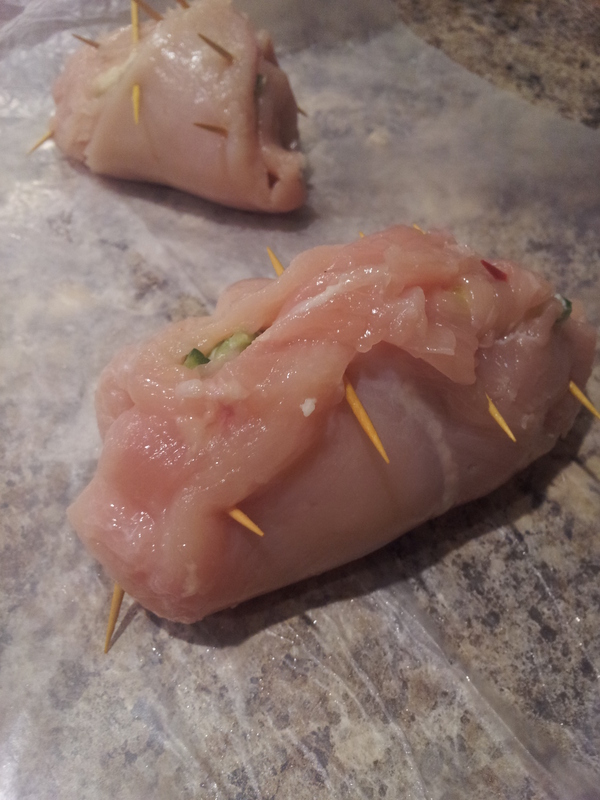 Begin rolling your chicken (I start with the bigger end) and secure with toothpicks in the center. Seal the ends with toothpicks as well. It is okay if some filling comes out while baking…especially because it creates yummy burnt cheese! Salt and pepper your chicken and dip in the olive oil and lime juice mixture. Next, dredge in the crumb mixture. 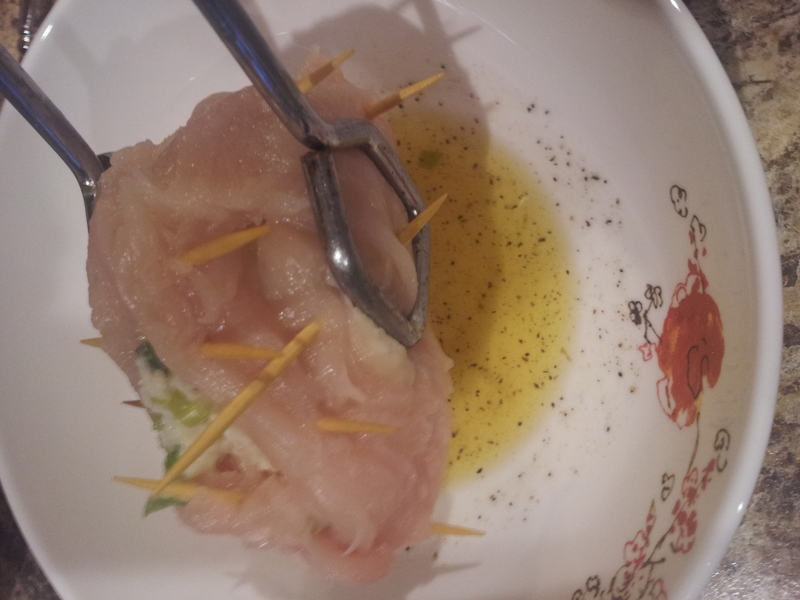 With the toothpicks, it’s a little tough – so you can press the crumbs into the chicken by hand. Add chicken breasts to a non-stick baking dish and bake for 22-25 minutes. Don’t forget to remove your toothpicks – but you might want to wait until after it cools a little! That’s a thing of beauty my friends! Hope y’all have a great weekend!